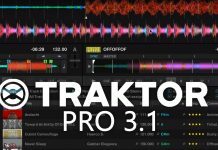 Native Instruments Traktor Kontrol S8 Leaked? 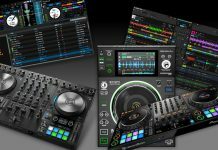 Home DJ News Native Instruments Traktor Kontrol S8 Leaked? It seems that a few days ago Amazon dropped the ball and published a product page for the yet to be released Traktor Kontrol S8 from Native Instruments. The page was pulled but thanks to google cache it’s still visible here. So what does this tells us? For one, the integrated screens are here to stay. Also, Native Instruments drops the jog wheels and goes for strip search, very much like the recent line of modular controllers they have been releasing. (Kontrol X1). Also the remix decks functionality takes center stage. An official announcement cannot be far away now, so stay tuned.